That’s no Moon… it’s a Star Wars fan comic! Hey, guys! So there’s a new movie out, perhaps you’ve heard? It’s called Star Wars: The Force Awakens and seems like it’s not doing too poorly on the international box office. Good for them, trying new things! Joking aside, it’s a pretty exciting time to be a fan of Star Wars. And perhaps not so coincidentally, the newest member of our forums, RorschachtheMighty, must be a fan, for he’s posted his own Star Wars fan comic! 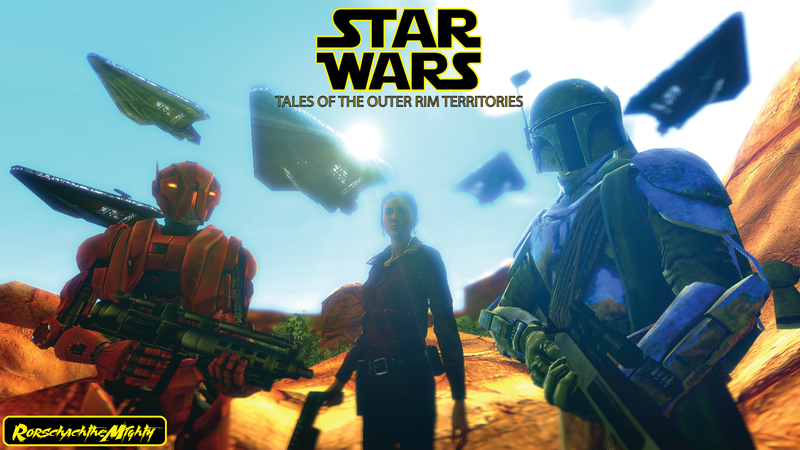 It’s called Tales of the Outer Rim Territories and, unlike the Prequel Trilogy, critical consensus on the forums has been pretty positive. Check it out, and may the Force be with you! Previous 36 Bullets: Act 3 Released and More! Next Meet Lena Oxton a.k.a. Tracer in TraceCast!